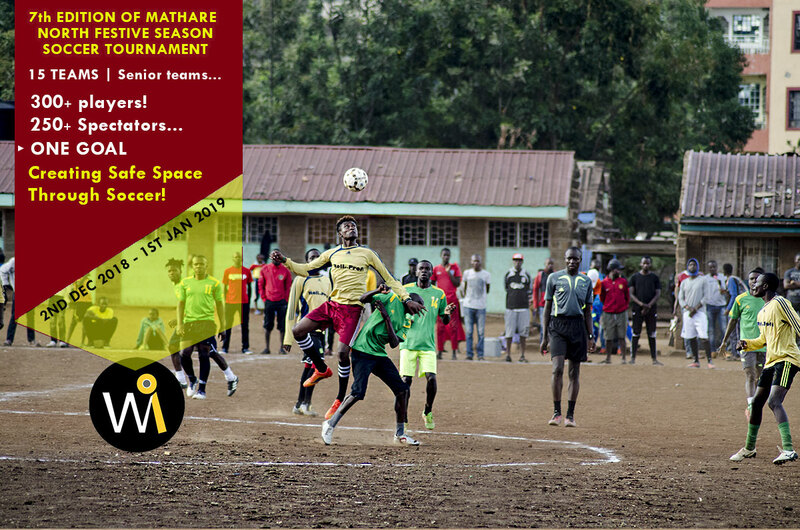 The festive season is just around the corner and preparation is in earnest to the 7the edition of Mathare North Festive Season Soccer Tournament (MFSST). 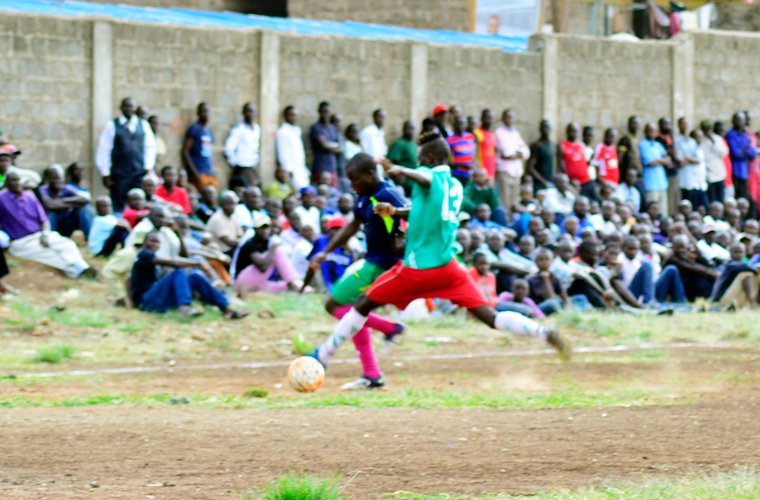 The first edition was in 2011 and since the the tournament has brought together community in ushering peaceful coexisting of people especially before, during and after election. We invite well wishers to partner, donate their time and resources for a successful tournament. 1. Safe space for youth during the festive season. 2. Promote peaceful coexisting of people in the community. It is a great pleasure to connect our team with resources that will help them through achieving their dreams. At the grassroots, not many teams can afford quality footballs, football shoes, first aid kits, etc. 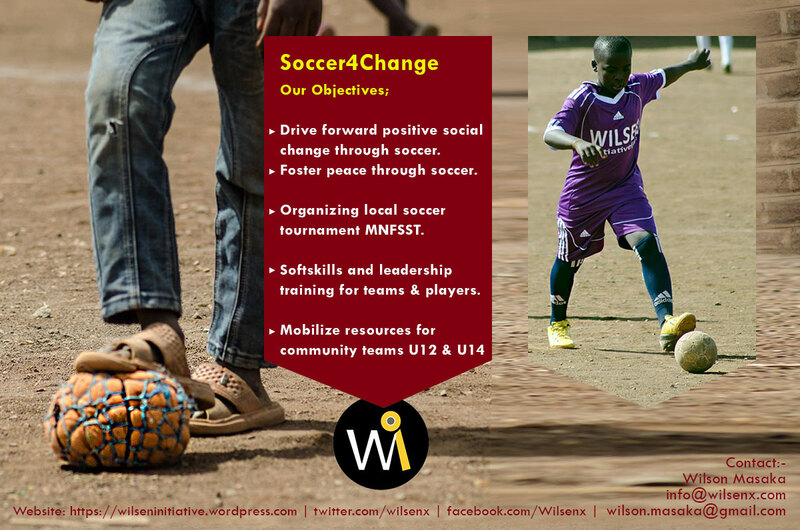 through Wilsen Initiative under football for hope program, we have been mobilizing for football kits and materials either new or used to support community grassroots team from 12 year to 16 years. 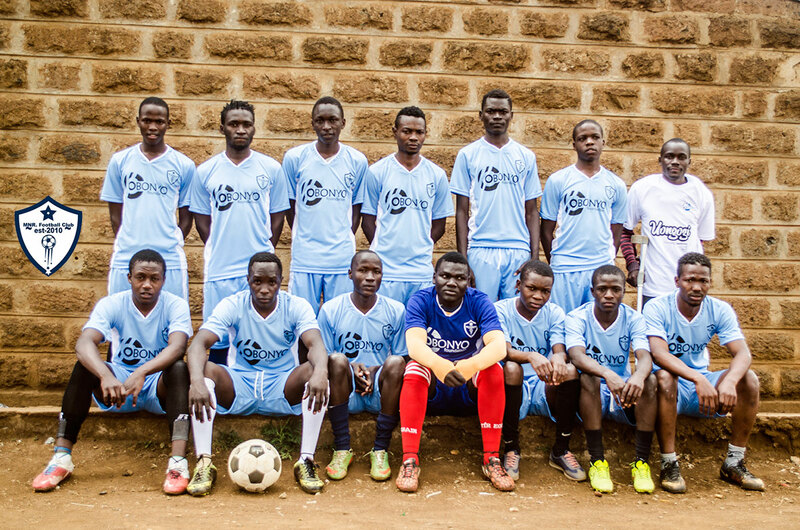 We thank Raphael Obonyo and Obonyo foundation for recognizing our efforts at the grassroots whereby they donated a set of uniform and football to our team Mathare North Rangers F.c under their ongoing campaign that they are running that supports leadership through sports. Grassroots Soccer, East Meets the West. 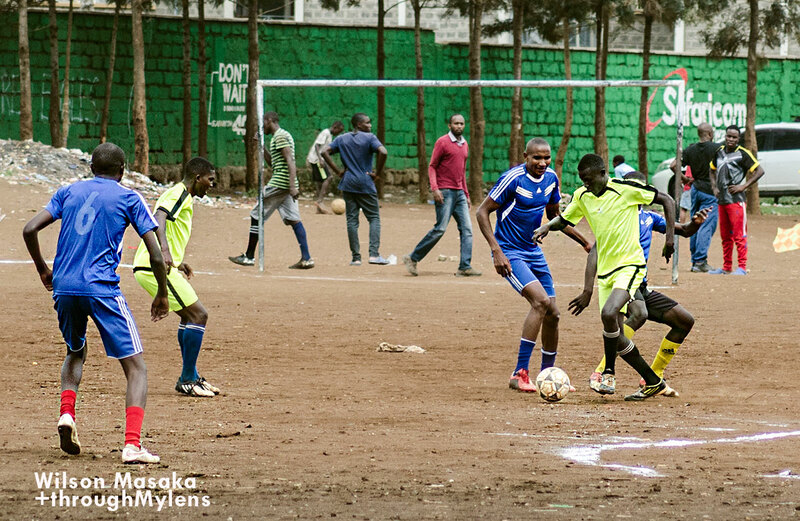 Today our junior team (Mathare North Rangers Jnr. 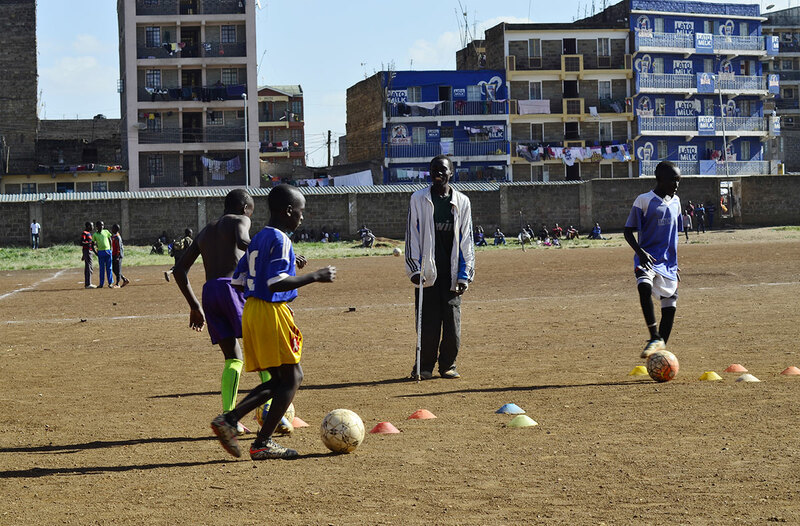 U12) traveled to Parklands to play a friendly match with Soccer School Kenya. . The match ended in a 2-2 draw, with great learning lessons from both teams. 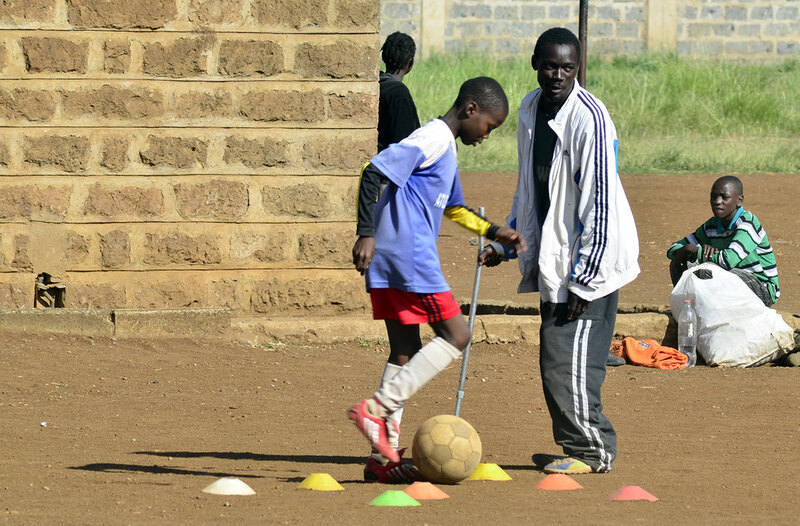 Soccer School Kenya works with kids from all backgrounds with the aim of giving them an opportunity to hone their skills by availing the right environment, equipment and coaching staff. 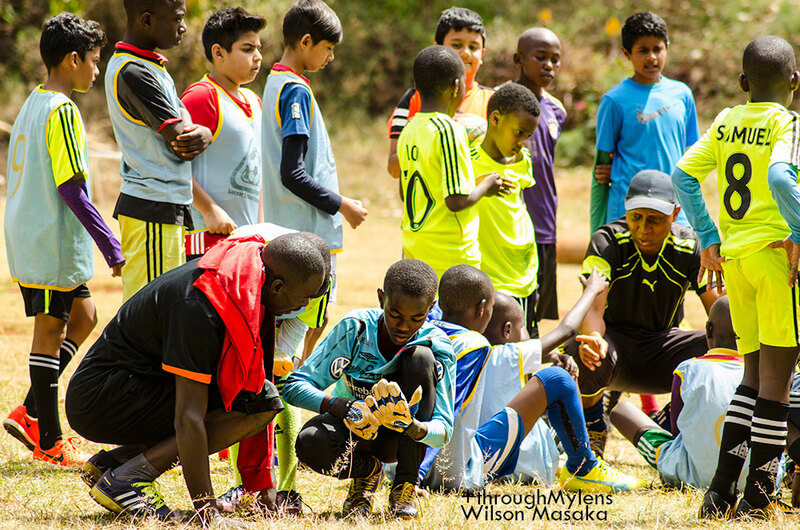 We share the same values at Wilsen Initiative whereby we support our club in nurturing their skills and talents. 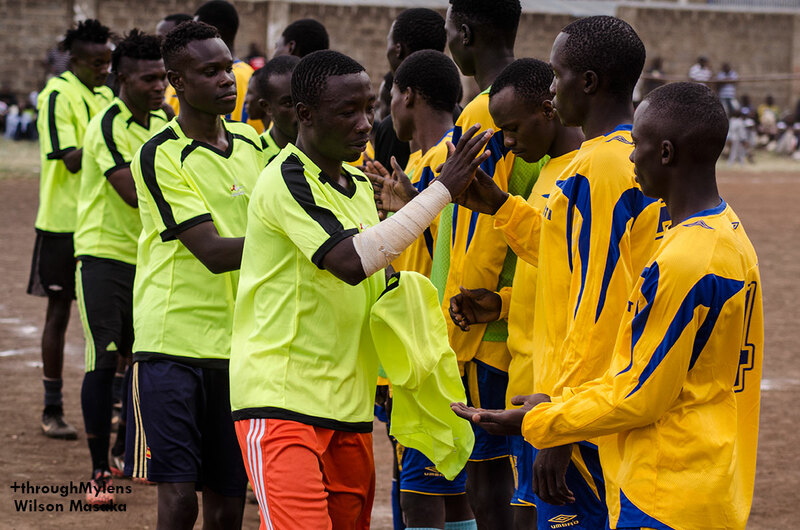 The soccer exchange program is part of our philosophy that provides an environment to interact with different groups while learning new skills. 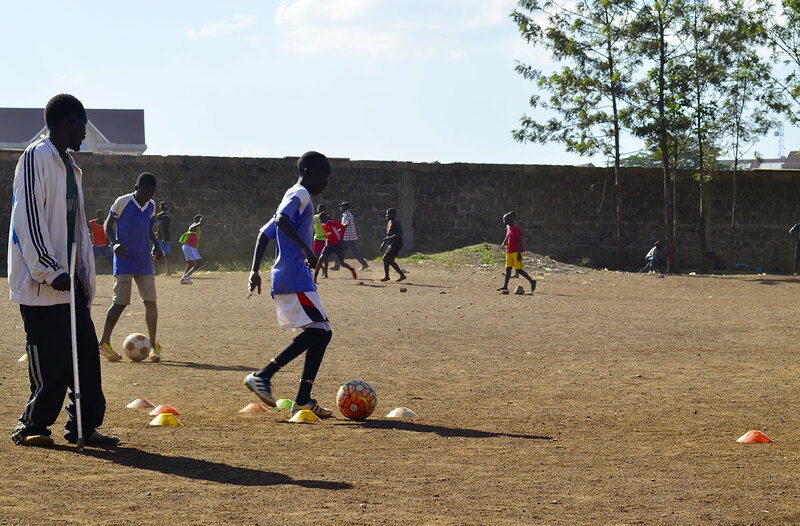 We share a lot with Soccer School Kenya, only that at the moment weren’t able to fully implement our soccer model due to lack of resources required from coaches, soccer shoes etc. 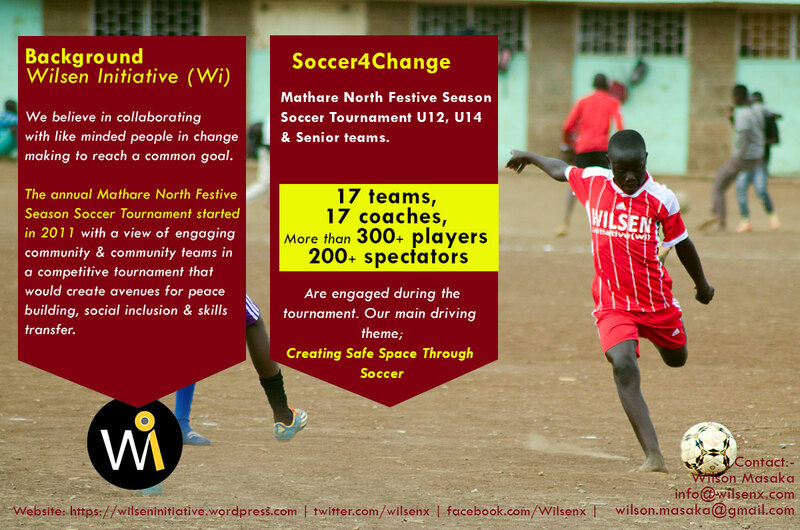 Mathare North Rangers F.C (MNR) football club (U12, U14 and Over 16 years) is a project of Wilsen Initiative (Wi). 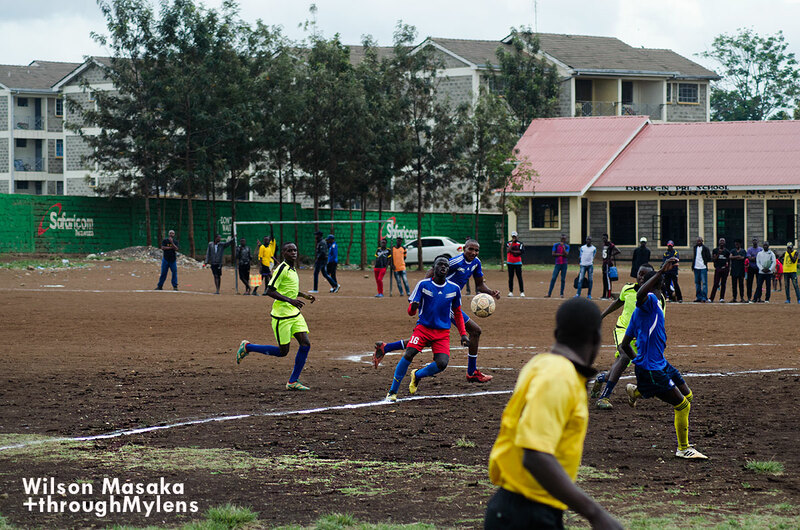 Wilsen Initiative runs under three pillars, namely Inspiration, Connectivity and Education (ICE model).Our teams are vehicles of fostering understanding and create lasting relationships among the youth and their communities. Some of the skills the soccer players acquire directly or indirectly range from; leadership, teamwork, sportsmanship, good values, peace, decision making among others. Provide a safe environment for a soccer player at grassroots levels to grow into the next level of professionalism. 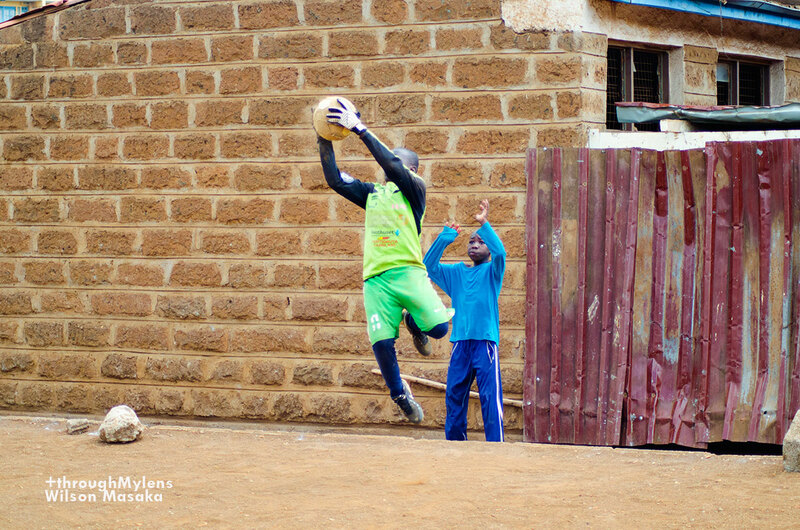 We seek to nurture the young talents, in soccer by providing exposure outside our neighborhood. Offer quality training and mobilize for resources that would help the players to grow into the next levels of professionalism. 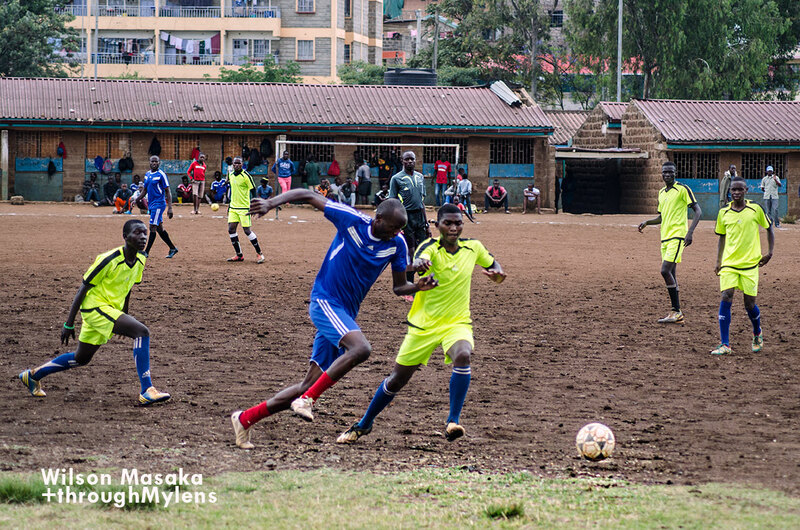 We envisage traversing our country by playing friendly matches and tournaments that will foster understanding of cultural diversity and peace building in Kenya. 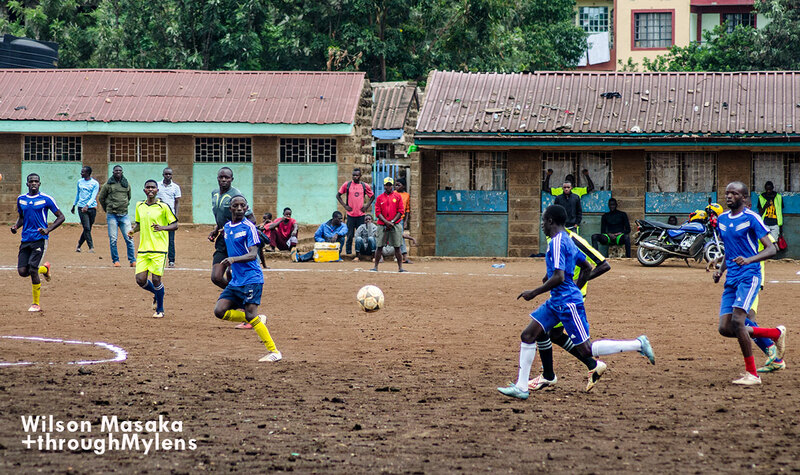 We use football to help the youth explore more about their country and communities while learning about why they should embrace diversity in cultures, tribes and trends around. By doing so we shall be contributing to the national fabric of peaceful cohesion of people. In a special way we want to thanks Wilson Masaka, Kamuzi Banda, Kenndey Onyago (Onyi), Coach Omore for their leadership, dedication and facilitation for all our teams. 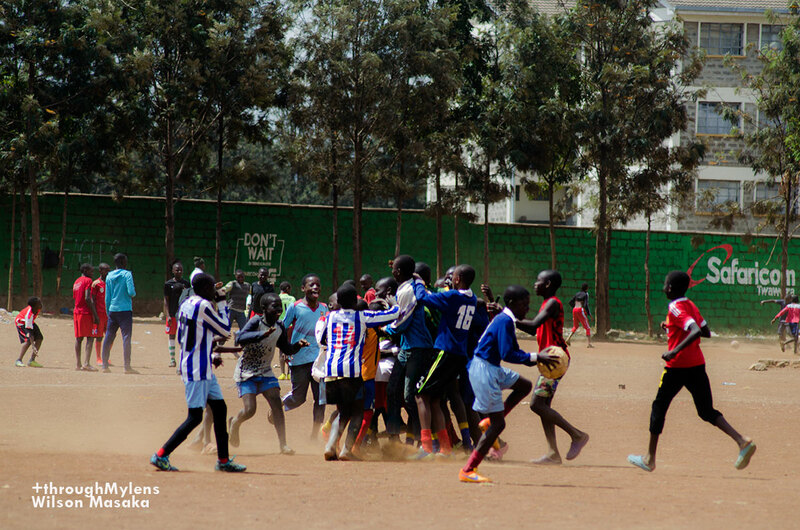 Lastly we want to thank Simon Mulama, Titus Mulama and the Soccer School Kenya for hosting us today at their fields. Transport cost to and from venues. 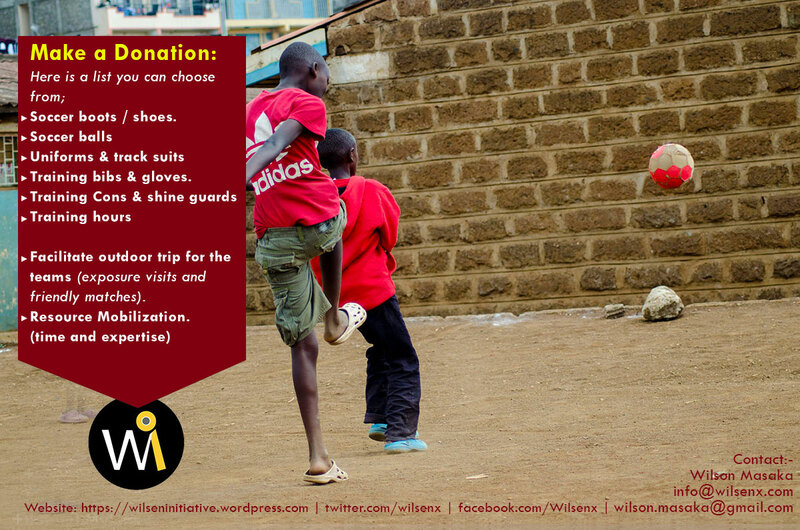 Buying or mobilizing of donation of playing kits for the players e.g soccer shoes, bibs, track suit etc. Training session for U12 and U14 players. Connect us with a friendly match outside our neighborhood. Step by step we shall reach our goal!